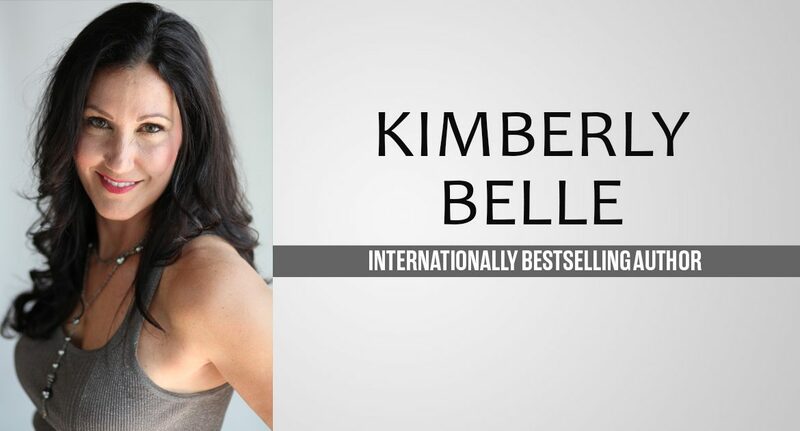 Kimberly Belle is an internationally bestselling author of four novels. She grew up near the Appalachian Mountains in Tennessee but fell in love with a Dutchman and moved to Amsterdam for 12 glorious years. Although she’s now returned to Atlanta, she’s still obsessed with all things Dutch and is still checking off countries to visit on her to-see list. Her next novel Three Days Missing will be published June 26th. If you follow me on social media, you know I’m a little obsessed with all things Dutch. Not just because my husband was born in Holland and half my family lives there. Not just because strolling Amsterdam’s streets and canals feels like walking through a postcard. Not just because of the food and the shopping and the flowers and the museums, all of which are world class. Because of all those things and more. I lived there a zillion years ago, when I was young and in love and life was an adventure, before there were babies and mortgages and sixty-hour workweeks. Maybe it’s nostalgia for that easier time, but that sense of freedom is what sticks with me the most when I think of that place, the feeling that everything and anything is possible there. You want to play your flute and pass out tulips on the street corner? Cool. Eat salted licorice and French fries with mayonnaise? Yum. Ride your bike naked through the rain? Um, you might be a little cold, but go for it. The Dutch are a little weird, a lot crazy, and always authentic, and Amsterdam will always feel like home. How has being a bestselling author changed things for you? Do you still write the same, or is there more/less pressure now? There was always pressure, but it’s definitely changed now that I’ve hit a couple of lists. Now I’m not just thinking about story, I’m thinking about sales and deadlines and writing a better book than the last one. It’s a difficult balance, one I struggle with every day. I have a Post-it note on my computer screen to remind me; it says, the story you have to tell versus you have to tell a story. What I mean by that is to tell the story that lives in my heart, not the one my publisher and the folks in sales and marketing think I should tell. It’s a reminder not to lose the joy in this business, to always remember why I wanted to write in the first place. What started you on the path to writing? You began life in marketing – how have you made your way to being an author? I’m not one of those writers who penned her first novel in crayon. Writing was something I’ve always loved in theory, but it felt like a pipe dream. Beyond the shaky economics of the profession, writing meant putting myself out there in ways that can be really, really uncomfortable. Writing a story and sending it out into the world is a humbling, unnerving, terrifying thing. Did I really want to roll over and show the world my underbelly? Did I dare? It wasn’t so much inspiration as it was being faced with a major upheaval. In 2008, when the economy crashed, so did my job. By that time I was pushing forty, and I still hadn’t written that novel I’d always dreamed of writing. I saw it as a now-or-never moment. I could either go find another job, or I could go for it. I went for it, and now I can’t imagine doing anything else. What is your favourite book you’ve written and why? That’s like asking me to choose a favorite child, lol, and I love all my books equally. That said, The Last Breath will always have a special place in my heart, and not just because it was my debut. It is a story that I put a lot of me into—a main character who works in non-profits, a hometown around the corner from my own, a lot of landmarks I remember from my time there. And who doesn’t love a hunky chef? It’s not my favorite child, but it is definitely a special one. Pride and Prejudice, Outlander, and How to Build a Seaworthy Boat. 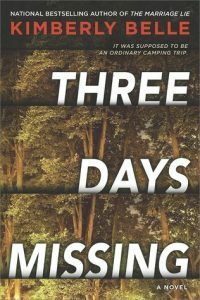 Let’s talk about your newest book, Three Days Missing. What an intriguing premise! Can you tell my readers a little about it, how you came up with the idea and what inspired you to write it? Thank you! Three Days Missing is the story about a little boy, Ethan, who goes missing during an overnight trip with his 2nd-grade class. Shocked and distraught, his mother Kat rushes to the campground but she’s too late; the search party has returned empty-handed. Meanwhile, another mother, Stef, receives a mysterious call about her own son. She hardly knows Kat, except for the vicious gossip that swirls around Kat’s traumatic past. But as the police investigation unfolds, Ethan’s disappearance will have earth-shattering consequences in Stef’s own life—and the paths of these two mothers are about to cross in ways no one could have anticipated. As for my story inspiration, Three Days Missing came from a couple of different ideas that hit me at the same time. The first was the story of a boy who goes missing under strange and mysterious circumstances. Any parent can imagine how that would feel, how terrifying and confusing, the pressure of a constantly ticking clock until your child is found. messy, very public divorce from an abusive husband when their son goes missing in the middle of the night. Of course the first person she suspects is her soon-to-be ex, who’s suddenly not answering his phone. 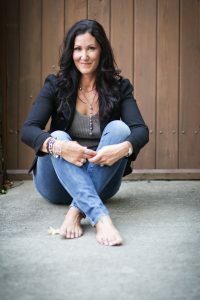 It’s a fictionalized story crafted around a real-life one, and writing it helped me sort through all the emotions I felt, the sadness and helplessness and anger, while watching my friend go through her divorce. What actresses would you cast to play Kat and Stef? Hmm, I’d love to see Amy Adams in either role, though I think she’d do an especially great job with Kat. I see someone like Katie Holmes as Stef, or maybe Alexis Bledel. I loved her in Handmaid’s Tale! If I have any say in the matter, though, I’d like to see one of my books be developed into a TV series rather than a movie, and by one of the cable/subscription networks. Hulu, HBO, Netflix, etc. They are making such fabulous shows these days. What do you think readers will love about Three Days Missing? I hope that readers will recognize themselves in one of these women—not because of their respective tragedies, but because I write about real, everyday women and their relationships. Parent-child, husband-wife, siblings. I love exploring the emotions that come along with these kinds of bonds, mostly because they’re so universally recognizable. Toss in the suspense angle—a lying spouse, a child gone missing—and it’s a what-if scenario everyone can imagine themselves in. I hope that’s what readers love about this story, actually, to read it and think, that could have been me. What would I have done? What is the main thing (theme/subject matter, etc) you want readers to take away from this book? One of the big themes in Three Days Missing is that you never know what’s going on behind another person’s closed doors. A lot of what people show the world is not who they are in private, and I definitely explore that – the good, the bad, and the really, really ugly – in this story. It’s a theme that was inspired by the experience of that friend I already mentioned, the one whose husband was abusing her. My friend hadn’t told me, one of her best friends, what was happening in her house. She hadn’t told anyone, so when he finally beat her badly enough to send her to the hospital, it came as a huge shock. She is one of my closest girlfriends, and I had no idea what was happening inside her home. Abuse is often like that, a couple’s dirty little secret. You have some fantastic early reviews for Three Days Missing. Do you usually read reviews or do you ignore them? How do you deal with negative reviews if you get them? Thank you! I’m so thrilled people are responding so well to the story. That moment when the first reviews start coming in is always scary, and I do read the big ones: Kirkus, Booklist, Publishers Weekly, etc. As for Amazon and Goodreads, I keep an eye on the stars and any general trends, but I don’t read them all. For one thing, it’s impossible to make every reader happy every time, and for another, I’m too busy writing. A negative review can really mess with your mojo, so I try not to let myself go there. But yes, sometimes a really bad one does slip through, and then I eat some chocolate, shed a tear or two, and go back to writing the next book. Kat Jenkins awakens to the police on her doorstep. Her nine-year-old son, Ethan, is missing from the cabin where he’d been on an overnight field trip with his class. Kat rushes to the campground where he was last seen, but the authorities have lost Ethan’s trail in the mountain forest. Racing against the clock, a desperate search for answers begins—one where the greatest danger could lie behind the everyday smiles of those they trust the most. But will Kat find her son in time? Yes, I’m wrapping up the first draft of book #5 (no title yet), about a woman who is running from her husband, and a man who returns home from a business trip to find his wife missing. Coming 2019! 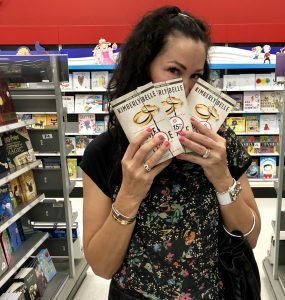 I’m literally counting the days until her book baby is released out into the world. Such an excellent story teller who writes characters who you cheer for and a few you’d really love to slap in the face. I already know I’ll read it to fast and be lost when I’m finished.